With Halloween just around the corner, here is a great, arthritis-friendly healthy pumpkin muffin recipe. I'm not a huge fan of halloween but I am a big fan of these gently spiced, gingery muffins. Using pumpkin purée eliminates the need to hack up a large pumpkin which can be pretty difficult if you have arthritis but by all means use some cooked pumpkin if you have it. 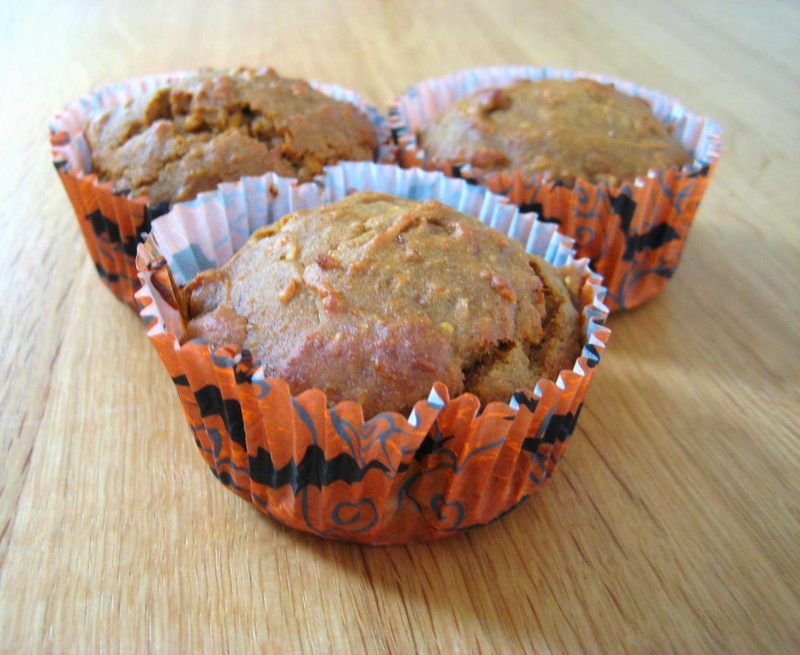 The muffins make a great afternoon snack or a fun, healthy thing to serve to trick-or-treaters. 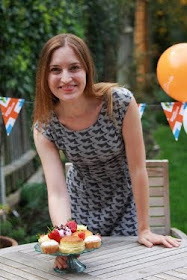 See the recipe variation for my rather wicked adult-version (a bit like Russian Roulette with a muffin). Using an electric whisk or stand mixer, beat the eggs and sugar together for 3 minutes or until pale and fluffy. Add the pumpkin purée and treacle and briefly mix again. Tip in all the other ingredients and fold them into the wet mixture until just combined. Fill each muffin case two-thirds full. Bake at 180C/375F for 25 minutes of until a knife inserted into the centre of the muffin comes out clean. For an adults-only Halloween treat, fill 3 muffin cases half full before adding a sprinkle of chilli flakes into the centre or each case. Top with another spoonful of muffin mix to cover the chilli flakes. Fill the other 9 cases as usual. Serve as a 'Trick or Treat' (although actually I really like the warmth of the chilli ones!). Pumpkin is an excellent source of vitamins A, C and fibre. The ginger in this recipe adds an anti-inflammatory kick whilst the ground almonds boost the vitamin E and healthy monounsaturated fat content. You can try reducing the sugar content by half if you like a less dessert-like muffin but do leave in the molasses or treacle - not only does it add flavour but it also give an iron boost.